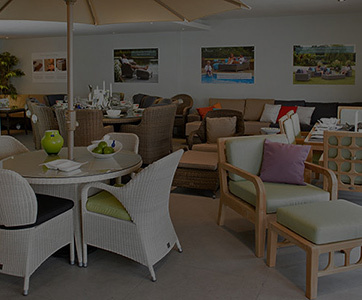 Choosing garden furniture can be an overwhelming task. Before you start your search, it is important to identify which material best suits your needs. Below, I will be discussing the benefits of each material and how you can expect it to look in 10 years time. 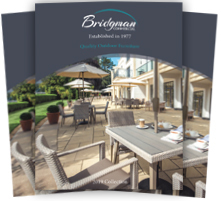 Some materials are more suitable for use in garden furniture so I will only be covering the most sustainable garden furniture materials in this guide. 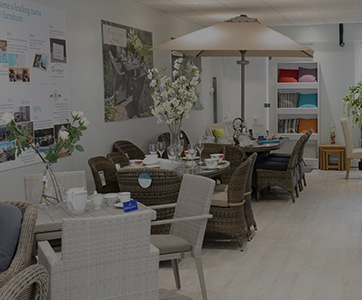 There are many names given to rattan garden furniture, including ‘All Weather Wicker’, ‘Synthetic Wicker’, ‘Synthetic Rattan’ and ‘Wicker Resin’. 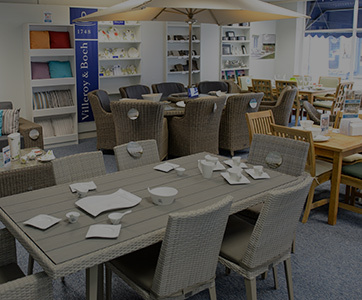 Rattan garden furniture, as it is widely known in the UK market, is a polyethylene based extruded fibre. Although it may not be apparent in photographs, there are huge quality differences between rattan garden furniture in the market. Ideally it is best to see the furniture for yourself before purchasing as the market is currently flooded with imitation rattan which is made to extremely low standards and sold at low prices. 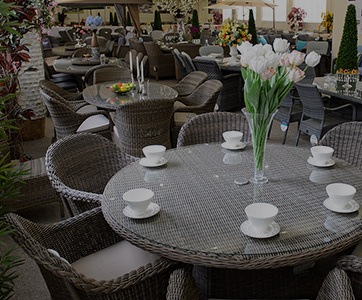 With Rattan Garden Furniture, arguably more than any other material, it is important to assess the quality of the weave and how it has been manufactured. Rattan furniture is not only limited to colour of weave, but also style. As a rule of thumb full round weave is the best quality, followed by half round weave and flat. Although, if manufactured by a reputable company, all may be made to high standards. Quality rattan furniture is a joy to maintain. It has revolutionized the outdoor furniture market, with its simplicity, style and maintenance free properties. The only maintenance that is needed is when it gets dirty from rain water, trees, or birds, and it can be simply hosed or sponge down. 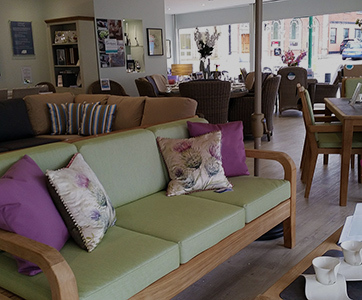 If you are after a more traditional feel, you may want to consider wooden garden furniture. When purchasing wooden furniture it is vital that you ensure only the highest quality hardwoods are used. This is because if anything inferior is used, problems such as splitting, cracking and warping will occur. 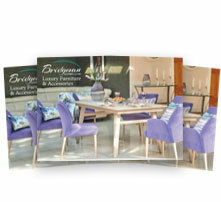 For over 50 years, Bridgman have specialised in wooden furniture. This means that when it comes to sourcing the right materials and manufacturing methods, we are experts. At Bridgman, we use top quality kiln dried Teak from Indonesia and Iroko from West Africa, both of which come from carefully managed plantations and forests. We never use illegal woods. Aluminium Garden Furniture has a lot to offer. Not only does it look stylish, but it is also weather resistant and has long term durability. Aluminium products have a solid feel, yet are light enough to be moveable. They will not blow over in the wind and will not be affected by adverse weather conditions. One of the beauties of Aluminium Garden Furniture is that it often comes in a variety of colour and style options. Aluminium furniture is usually of fixed dimensions (do not fold or stack), therefore they can be an inconvenience to store if you do not want to leave your furniture outside all year. 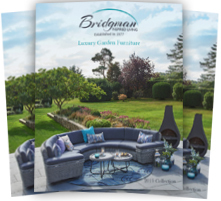 However Bridgman offer stacking armchairs, as well as reclining armchairs that can be folded away and stored conveniently. Because of the way it is manufactured, Stainless Steel will never rust. Like Aluminium, Stainless Steel garden furniture is lightweight as well as durable. It is also easy to maintain, only requiring a wipe down when it gets dirty. Stainless Steel furniture often uses sleek, smooth lines. This makes it appear modern in design – appealing to people looking for contemporary garden furniture. Combining it with Teak gives it the sense of quality, and use of textilene on the seats offers enhanced comfort. You can expect to enjoy many years of comfort and use of Stainless Steel garden furniture. It is somewhat timeless in design, and will look fantastic for years even with the smallest amount of maintenance.